From the moment you step through the door, it's clear Urban Nails is no ordinary nail salon. Our stylish black and white decor and chic lighting beckon you in to a warm welcome from our host. After being greeted and offered a refreshment, you're invited to our sitting area to relax and flip through our wide selection of fashion, entertainment and interior design magazines. 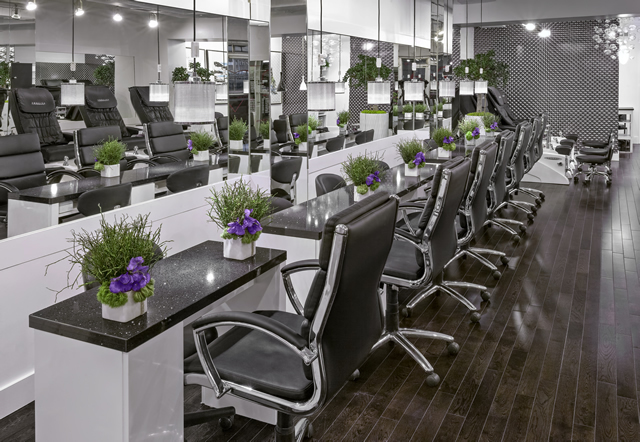 Discrete background music enhances the salon's breezy vibe. Each station boasts a minimalist, clutter-free design with clean marbled counters. Lights hang from the ceiling to each table to give you the right lighting for your manicure. 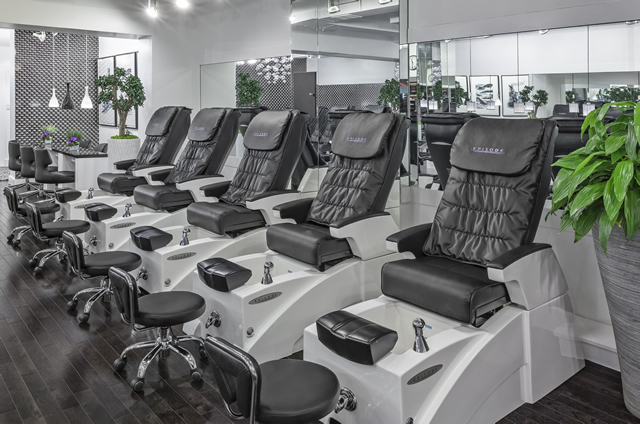 Our 8 pedicure spa chairs feature the newest in massage technology with your choice of deep or soft kneading, as well as a more hygenic experience with pipeless magnetic whirlpools. Grab a mag, sit down and say ahhhh! Spin our nail carousels and you'll find a rainbow of shades and finishes for your nails. Love classic colours or pretty nudes? We've got the SHELLAC OPI or ESSIE shade for you. In the mood for a trendy bright? Pick your hue from the ultra-hot China line. Go on, be adventurous! We work hard to give you a look you'll love. So once your treatment is done, we never rush you out. We carefully guide you to the drying station in our lounge at the back, where you can flip through a magazine or chat with a friend as your polish dries. It's all part of the Urban Nails experience. 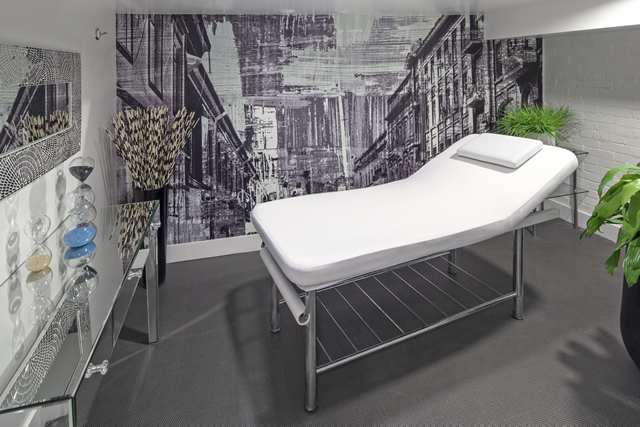 Discretely situated downstairs, our waxing room offers you a serene sanctuary for the face or body treatment of your choice.